We strive to continuously make Google Play the best platform for enjoying and discovering the most innovative and trusted apps. Today we are announcing additional enhancements to protect the integrity of the store. Our teams work every day to improve the quality of our discovery systems. These content discovery systems ensure that users can find and download apps they will love. From time to time, we observe instances of developers attempting to manipulate the placement of their apps through illegitimate means like fraudulent installs, fake reviews, and incentivized ratings. These attempts not only violate the Google Play Developer Policy, but also harm our community of developers by hindering their chances of being discovered or recommended through our systems. Ultimately, they put the end users at risk of making wrong decisions based on inaccurate, unauthentic information. Today we are rolling out improved detection and filtering systems to combat such manipulation attempts. If an install is conducted with the intention to manipulate an app's placement on Google Play, our systems will detect and filter it. Furthermore, developers who continue to exhibit such behaviors could have their apps taken down from Google Play. In the vast majority of cases, no action will be needed. If you are asking someone else to promote your app (e.g., third-party marketing agency), we advise you to make sure that the promotion is based on legitimate practices. In case of questions, please check out the Developer Support Resources. 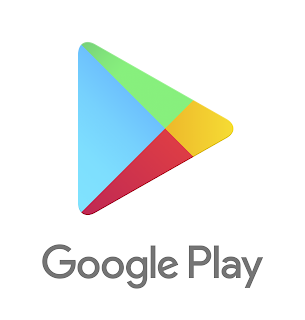 These important changes will help protect the integrity of Google Play, our developer community, and ultimately our end user. Thank you for your support in building the world's most trusted store for apps and games! Readfeed was created to help book lovers around the world share and discuss their favorite reads with each other more easily. Today, we are excited to officially launch the Readfeed app on Google Play. 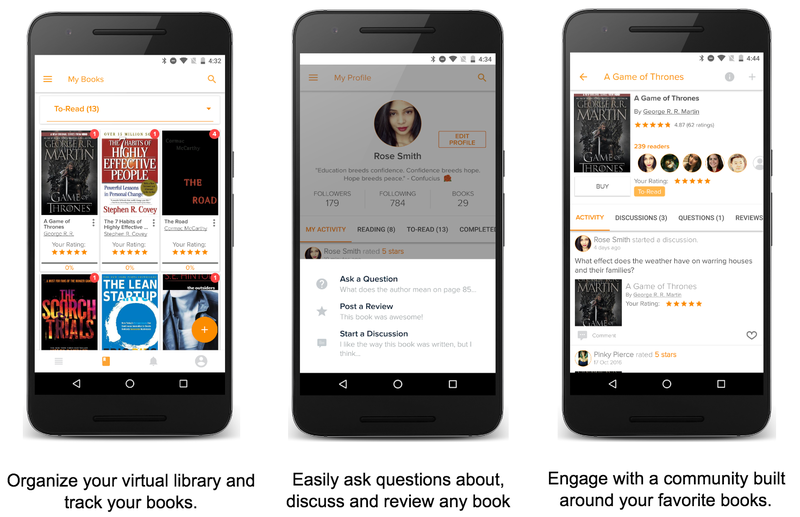 As one of the first online book clubs available only on Android devices, Readfeed lets you create your virtual bookshelf by adding books to custom lists, track and share your reading progress with community members, and see what books others are reading and talking about. Readfeed has come a long way since we first released the app as beta in Google Play's Early Access program. As one of the first graduates of the beta program, we were able to solicit feature requests, identify bugs, locate new and optimize existing target markets, as well as build a sizable reader community. This allowed Readfeed to deliver the best possible experience right out of the gate. As a guest on this blog, we thought it would be helpful to share some important best practices that we learned from the Early Access program to improve your products and scale your user base. One of the core principles underlying the construction of any successful product is setting up an effective feedback loop between users and product creators. Google Play Early access does this automatically. Users show up (sometimes seemingly out of nowhere), install the app, and leave feedback in the Beta Feedback section of the developer console. We can then reply in that section or take the conversation into an email, address the issue, and email users when it's addressed. Many improvements to Readfeed have been made as a direct result of this process. One major benefit of Early Access was that it gave us immediate access to a worldwide audience of readers. We were able to quickly assess the different book-related markets that existed based on user feedback and interviews done through email. Since launched in beta, over 1000 people have asked to read free books. Apparently this need exists in third-world countries and we plan to add this functionality in a future release. Bugs plague any app in its early stages. Because of the variety of devices that Early Access users have, ranging from Android 4.2 rooted devices to the latest Nexus phones, we were able to identify bugs very quickly. For instance, on Android 4.2 there was a recurrent crash which was tough for me to identify with my own devices. After one user emailed me about it, I was able to gather enough information to resolve the issue and put out an update immediately. Google Play Early Access made it a lot easier to determine what to do next. When about 10 people request a feature, we know it's immediately important and put it in the app. One feature that came directly from Early Access feedback was the ability to rate books without leaving a review. Early Access has allowed us to start building a community. For instance, a Software tester from the UK who likes books sent me a detailed analysis of all of Readfeed's bugs. Also, we've witnessed many people take the initiative and answer others' questions about the app. Because of the critical mass that Google Play Early Access helps you build, it's easy for communities to form and start sharing information with each other. We now have enough users to A/B test certain parts of the app and get statistically significant results. This is something that usually takes a long time to achieve. 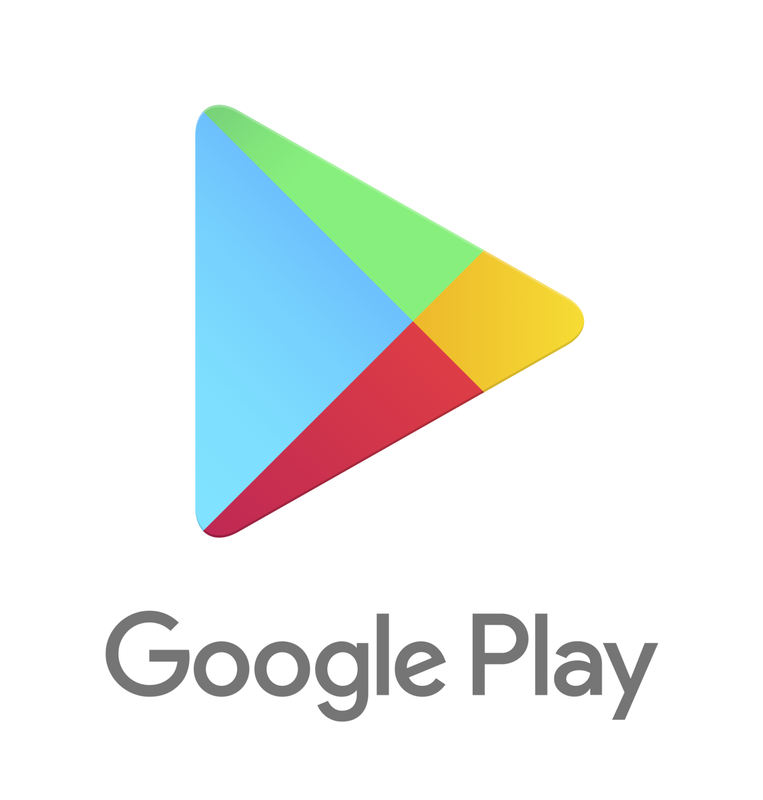 There are many other ways Google Play Early Access have helped us, and we're thankful that Readfeed has had the opportunity to be a part of the program. I can say without reservation that our current and future product would be in a very different place had it not been for our inclusion in Early Access. If you are a developer getting ready to launch on Google Play, you can nominate your app or game to be part of Early Access. Learn more here. It's an exciting time to be a health & fitness app developer. With people shelling out on fitness more than ever before, we're seeing record high levels of gym memberships and attendance, the rise of boutique fitness, and an emphasis on connected devices. Paramount to this growth is the integration of smart technology. Whether it be through streaming video, wearables, or mobile apps, technology empowers us with instant access to high quality workouts, sensor biofeedback, and endless on-demand inspiration. At Google Play, we've seen this growth reflected by the incredible popularity of health & fitness apps. In fact, this is one of Google Play's fastest growing app categories, boasting the most engaged 30d active users. We all know how painful manually logging activity and biometrics is- be it calorie tracking, workouts, moods, or hormone cycles. Manual logging is actually the number one reason users drop off. What you should do: Minimize distraction with automation wherever possible while maximizing value at the appropriate moments. Remember that you are in all likelihood a companion experience to the main event. Lose It! 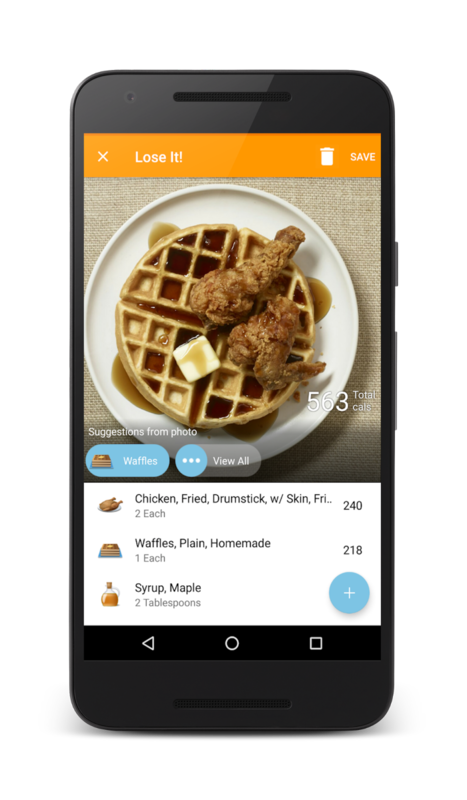 makes food tracking easier by using your phone's camera and image recognition technology to identify foods and their nutritional information. Goodbye manual calorie counting! Strava uses auto pause detection, recognizing when you are resting during exercise so you don't need to fiddle with your device and can stay safe and in the zone. Investing in robust personalization has been the driving factor in improving app engagement and buyer conversion among many of our top developers. What you should do: Personalize the experience for each user or distinct user cohorts by leveraging technology like the Awareness API, Fit API, Google Sign In, and Facebook Login to intelligently pull in relevant user data. Think about your first-time users, power users, high value users, etc. and treat them uniquely. Freeletics personalizes onboarding and the overall app experience based on gender and fitness level leading to a 58% increase in weekly active sessions. Workout Trainer by Skimble increased user engagement by 30% through personalizing training programs based on user fitness assessments, goals, and workout patterns. The rise of smartphones, wearables and IoT have left us swimming in data and dashboards and left many consumers wondering, so what? What you should do: Offer insights and suggestions, not just raw data. Users are not engineers and generally do not want to process complex data or dashboards. In most cases, they want you to tell them what to do in the moment or provide digestible summaries after the fact. Keep it simple. 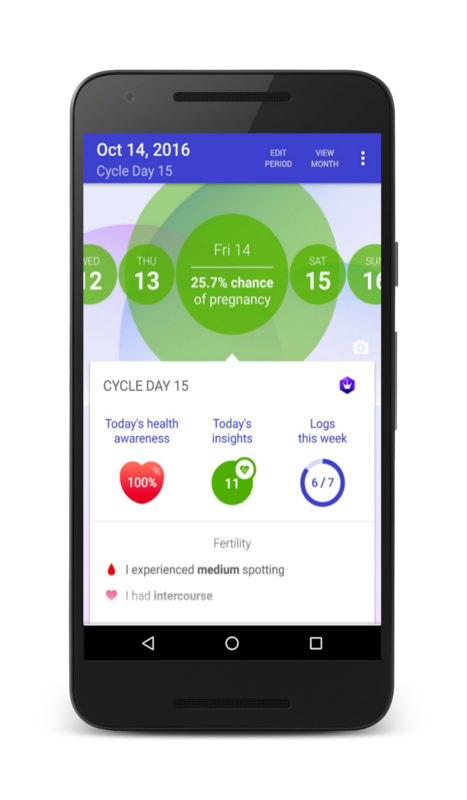 Glow provides personalized insights that leverage user-inputted data and third party data from Google Fit to help couples achieve their fertility goals. Beddit gives personalized daily tips to improve your sleep and wellness by analyzing sleep cycles, resting heart rate, respiration, room temperature, and more. At the end of the day, changing health and fitness habits is hard. Make it easier for your users by seamlessly guiding them on what they personally need to do to achieve their goal. It's that simple ;) We encourage you to experiment with these exercises to get your app fit for the millions of Android users looking to live a healthier, happier life. Interested in growing your app on a global scale? See how two app developers localized their apps in unique ways to drive revenue and user engagement. 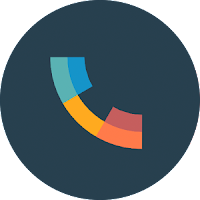 drupe is a communications app that utilizes the openness of android to build a truly native experience delivering highly contextual recommendations to their users across the world. Key to achieving international growth, drupe has translated their app in 17 languages, and their store listing page in 28 languages. This led to an increase in conversion and retention rates. Additionally, when entering India, the team noticed several user reviews requesting integration with a specific messaging app widely used in the Indian market. Through a combination of this integration, adding Hindi language translation, and other new features, drupe saw improved performance. In six months, daily active users increased 300%, and actions per average daily user increased 25% in the Indian market. Noom is a health & fitness app that has achieved an 80% increase in international revenue growth on Android over the past three years by localizing their app with unique cultural behaviors, cuisines, and local-market coaches. In addition to translating their app and store listing page, Noom conducted extensive analysis to determine the right financial model tailored to each international market. This included evaluation of their competitive landscape and local health and wellness spending behavior, in addition to running pricing experiments to determine the optimal offering between subscriptions, IAPs, or a premium app. Use the Localization Checklist to learn more about tailoring your app for different markets to drive installs and revenue, and to create a better overall user experience. Also, get the Playbook for Developers app to stay up-to-date on new features and learn best practices that will help you grow a successful business on Google Play. Read the full articles for drupe and Noom. 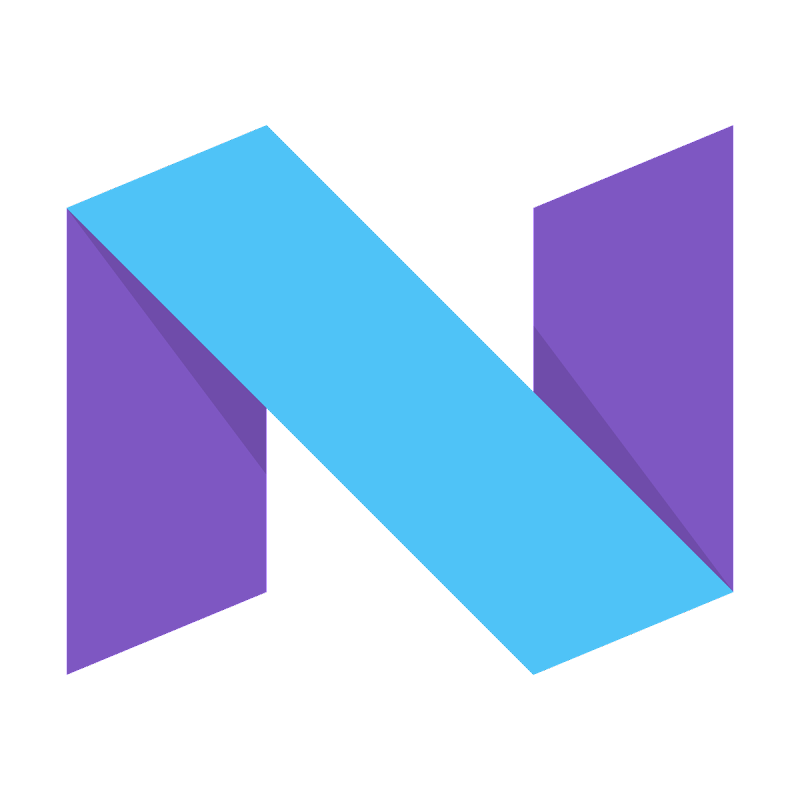 A couple of weeks ago we announced that a developer preview of Android 7.1 Nougat was on the way. You can get started with this new release today by downloading the SDK and tools. To get the 7.1 release on your eligible device, enroll your device in the Android Beta program. If your device is already enrolled, you'll receive the update automatically. What’s in the Developer Preview? The Android 7.1 Developer Preview gives you everything you need to test your app on the new platform or extend it with new features like app shortcuts and image keyboard support. It includes an updated SDK and tools, documentation and samples, as well as emulators and device system images for running your apps on supported devices. Since 7.1 has already launched on Pixel, we’re delivering the initial Developer Preview at beta quality for the Nexus lineup of devices. The goal is to tease out any device-specific issues. We’ve opened up publishing on Google Play for apps targeting the new API level, so you can update your apps soon as you are ready. After the initial preview release, we plan to deliver an update in November followed by the final public release to the Android Open Source Project (AOSP) in December. Initially available on Nexus 5X, Nexus 6P, and Pixel C devices, we’ll extend the Developer Preview to other devices in November. To get started, update to Android Studio 2.2.2 and download API Level 25 platform, emulator system images and tools. The final API Level 25 SDK is available for download through the SDK Manager in Android Studio. Once you’ve installed the API Level 25 SDK, you can update your project’s compileSdkVersion to 25 to build and test against the new APIs. If you’re doing compatibility testing, we recommend updating your app’s targetSdkVersion to 25 to test your app with compatibility behaviors disabled. For details on how to set up your app with the API Level 25 SDK, see Set up the Preview. If you’re adding app shortcuts or circular launcher icons to your app, you can use Android Studio’s built-in Image Asset Studio to quickly help you create icons of different sizes that meet the material design guidelines. 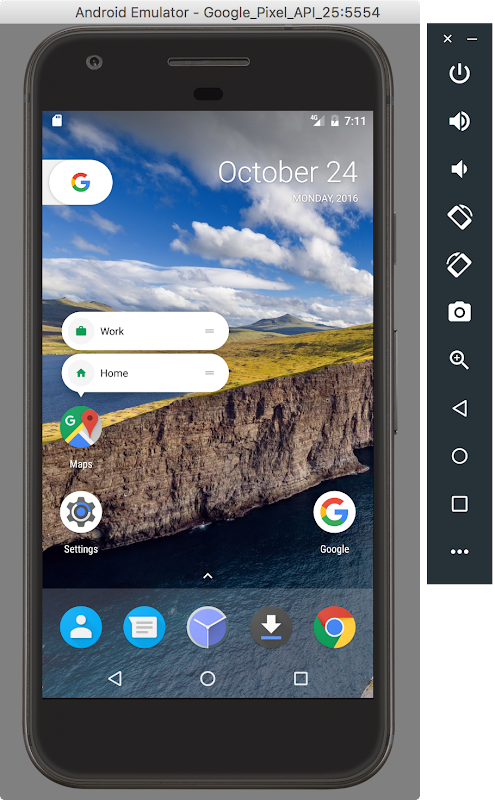 The Google APIs Emulator System images shipped with the Android API Level 25 SDK include support for round icons and the new Google Pixel Launcher. The Google API system image allows you to test how your app’s circular app icons look in devices that support circular icons. Also, if you are developing live wallpapers, you can also use the the new system images with the Android Emulator to test the enhanced preview metadata in Android 7.1. To help you add image keyboard support, you can use the Messenger and Google Keyboard apps included in the preview system images for testing as they include support for this new API. 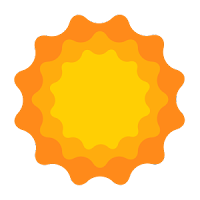 Along with the API Level 25 SDK, we have also updated the Android Support Library to 25.0.0. The new version lets you add image keyboard support with compatibility back to API level 13. It also introduces BottomNavigationView widget, which implements the bottom navigation pattern from the material design guidelines. For details on API Level 25 check out the API diffs and the updated API reference on the developer preview site. You can use the Image Asset tool to quickly create circular icon assets. Since the Android 7.1 APIs are final, you can publish updates compiling with, and optionally targeting, API 25 to Google Play. You can now publish app updates that use API 25 to your alpha, beta, or even production channels in the Google Play Developer Console. In this way, push your app updates to users whose devices are running Android 7.1, such as Pixel and Android Beta devices. If you are already enrolled in the Android Beta program, then your eligible enrolled devices will get the Android 7.1 Developer Preview update right away, no action is needed on your part. If you aren’t yet enrolled in Android Beta, the easiest way to get started is to visit android.com/beta and opt-in your eligible Android phone or tablet -- you’ll soon receive this (and later) preview updates over-the-air. If you have an enrolled device and do not want to receive the update, just visit Android Beta and unenroll the device. You can also download and flash this update manually. We welcome your feedback in the Developer Preview issue tracker, N Preview Developer community, or Android Beta community as we work towards the consumer release in December! Today, we’re taking the wraps off of Android 7.1 Nougat, the latest version of the platform. You probably saw a sneak peek of it at last week’s event. It’s an incremental update based on Android 7.0 but includes new features for consumers and developers — from platform Daydream VR support and A/B system updates to app shortcuts and image keyboard support. We’ve already been working closely with device makers to get them ready for Android 7.1, and next we’ll give you access to this update so you can start getting your apps ready. Later this month we’ll be bringing you the Android 7.1 platform as an open Developer Preview, similar to what we did for Android 7.0. You’ll be able to test and build on the new platform and try the latest features. As always, we’ll deliver the Developer Preview through the Android Beta program, which makes it incredibly easy to participate. Android 7.1 delivers the productivity, security, and performance of Android 7.0, along with a variety of optimizations and bug fixes, features, and new APIs (API level 25). Enhanced live wallpaper metadata — lets you provide metadata about your live wallpapers to any picker displaying the wallpapers as a preview. You can show existing metadata such as label, description, and author, as well as a new context URL and title to link to more information. For carriers and calling apps, the platform includes new APIs to support multi-endpoint calling and new telephony configuration options. Image keyboard support: Let users input images and other content directly from a keyboard. App shortcuts: Use app shortcuts to surface key actions and take users deep into your app instantly. Android 7.1 is an incremental release, but it’s always important to make sure your apps look and run great — especially as devices start to reach consumers. The Android 7.1 Developer Preview will give you everything you need to test your apps or extend them with new features like shortcuts or keyboard images. Included are the SDK with new APIs, build tools, documentation and samples, as well as emulators and device system images for running your apps on supported Nexus devices. We’ll also include a launcher and apps that support app shortcuts, and a keyboard and apps that support keyboard images. If you want to receive the Developer Preview automatically, visit Android Beta and enroll your device. If you previously enrolled a device and haven’t unenrolled, your device will receive the update. If you already enrolled but don’t want to receive the update, visit Android Beta to unenroll the device as soon as possible. Initially, we’ll offer the Developer Preview for Nexus 5X, Nexus 6P, and Pixel C devices, extending to other supported devices by the end of the preview. 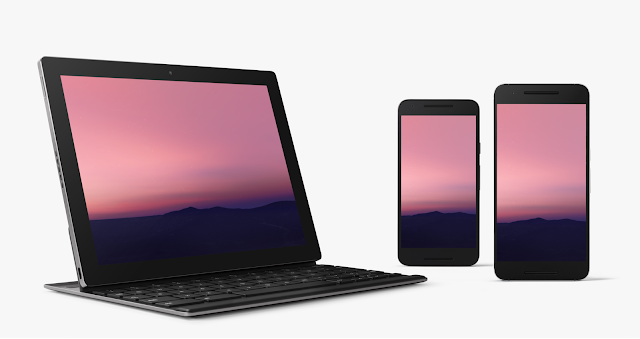 At the final release of the Android 7.1.x platform, due in early December, we’ll roll out updates to the full lineup of supported devices — Nexus 6, 5X, 6P, 9, Player, Pixel C, and supported Android One devices — as well as Pixel and Pixel XL devices. We’re working with our partners to bring Android 7.1 to devices in the ecosystem over the months ahead, so we recommend downloading the Android 7.1 Developer Preview as soon as it’s available. Test your apps for compatibility and optimize them to look their best, such as by providing circular app icons and adding app shortcuts. Meanwhile, stay tuned, we’ll be sharing more details about the Developer Preview soon!